The San Diego County Board of Supervisors voted Tuesday to accept bids from two developers that made proposals to convert the County Courthouse and Old Jail buildings in downtown into residential, commercial or industrial use. The bids were submitted by Holland Partner Group and Courthouse Commons LLC before Tuesday’s deadline. Their plans will be vetted by staff, with a winning proposal to go back to the supervisors for consideration at a later time. The details of the proposals are not yet public record, according to county officials. 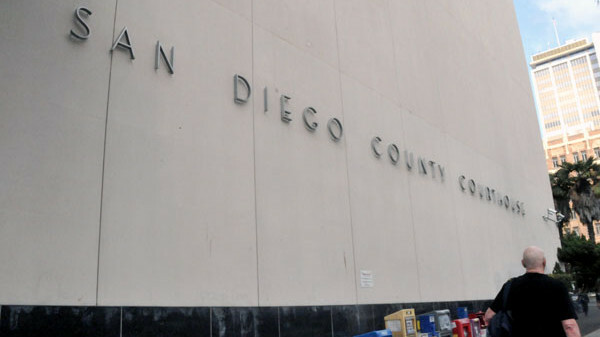 The courthouse will be empty when judicial operations move across the street to the new $555 million San Diego Central Courthouse beginning in about two weeks. The full move isn’t expected to be completed until February. Vancouver, Washington-based Holland Partner Group is a residential and commercial development, construction and management company. Its redevelopment team has been involved in the re-purposing of 50 properties comprising some 12,000 units, according to its website. Courthouse Commons is a limited liability corporation based in Boca Raton, Florida, that was first registered in California in August. It maintains an office in Bakersfield, according to state records. As part of the plan, the supervisors also voted to approve an amended agreement to transfer the Courthouse and Old Jail from the state back to the county. The county transferred ownership of those two buildings to the state in 2009, mirroring actions in other counties. The transfer back to the county will relieve the state of its obligation to demolish the Old Courthouse and to construct an inmate tunnel from the County Jail to the San Diego Central Courthouse. The tunnel construction will be part of the private redevelopment plans, according to a county memo.